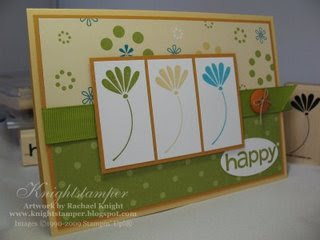 Keryn's made this cute card, the Fresh Cut Notes co-ordinate perfectly with the Fresh Cuts stamp set. 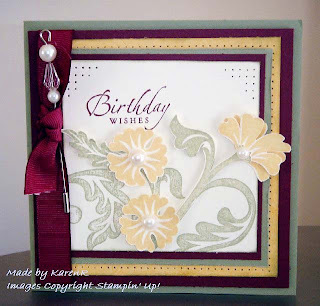 For more of Keryn's creations you can visit her blog HERE. 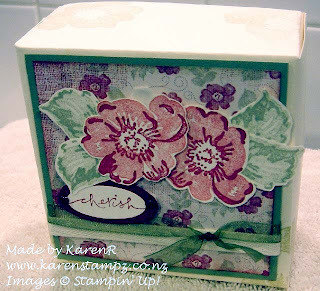 I love this stamp set, it's one of the level two free Hostess Sets. 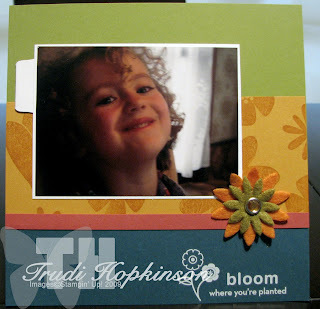 Stevie's done a beautiful job, I really like how she's layered the images. 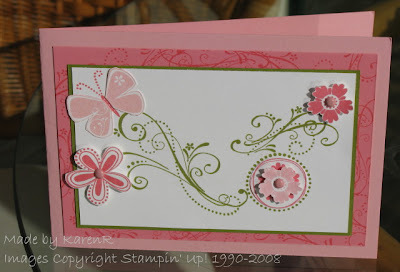 Feel free to visit Stevie's blog Create with Stevie. And here are Sharon's entries. It's not too late to enter, if you've got any posts or photos of card etc made with retiring sets email me and I'll post them. I love these cards and will definitely be casing the second two. 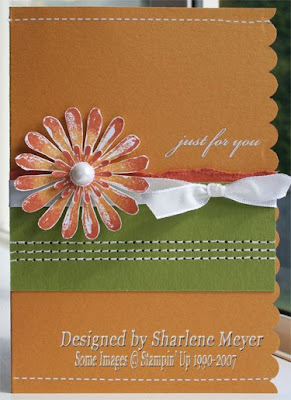 To see more of Sharon's creations you can check out her blog Lemon Delicious. I'm off to work now and will be picking up my catalogue on my dinner break - who needs to eat when we've got new stamp sets to drool over!! Once again Karen has stepped up and entered more than once in this month's challenges. I'm going to miss some of these sets. 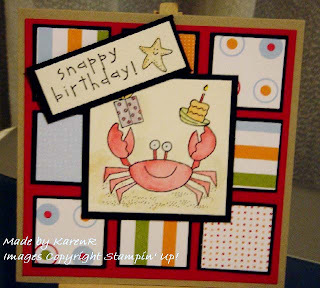 See what Karen's been up to lately by visiting her blog HERE. 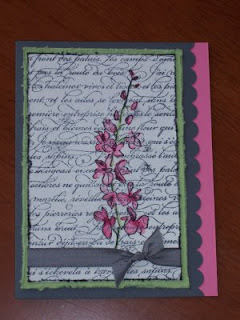 At the last minute I did this layout using the retiring Bodacious Bouquet. I'll be sad to see this one go. The layout is from the January issue of 'Impressions'. You can visit my blog Made By Me. Karen' is fantastic. She saw that there weren't many entries for the Bush Fire Appeal Challenge. So she emailed me 6! They were all gorgeous but I've posted 3 of my favourites. 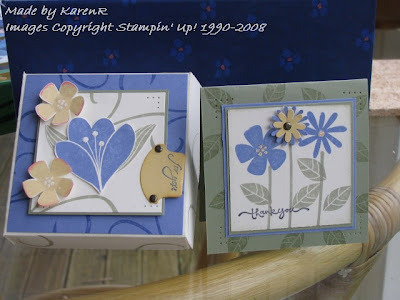 Visit Karen's blog HERE. Here's Sharlene's entry for the Bush Fire Appeal. 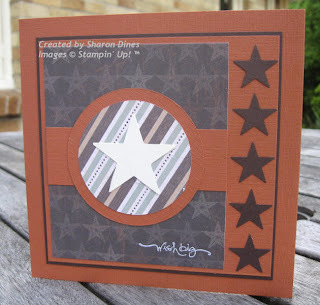 If you'd like to see more of Sharlene's creations you can visit her blog Magpie Creates. 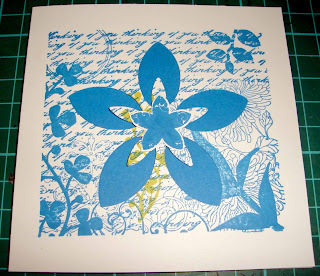 Here's Rachael's card for the Bush Fire Appeal. 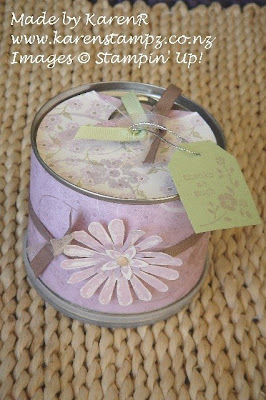 You can visit her blog and see all the fantastic stuff she's been making HERE.